Partial linen package: pillows, pillowcases and towels. Bring your own bedding and pool towels. Click here for a pdf of the floor plan. Includes partial linen package: pillows, pillowcases and towels. Please bring your own bedding and pool towels. Spacious 2 bedroom cabin. Queen size bed, bunk beds and pull out sofa. 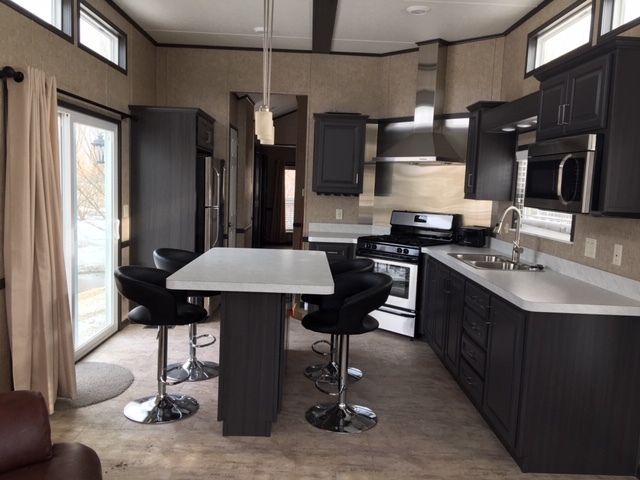 Fully equipped with linens, dishes, utensils, satellite TV, AC, heat, full size fridge, coffee maker, microwave, toaster, picnic table, BBQ and firepit. No pets, no smoking. Our cozy one room camping cabin will make camping easy. Our cabin has a picnic table, BBQ, fire pit and 6 foot covered deck perfect for relaxing and gazing at the stars. Cabin 1 is equipped with a double bed, bunk beds, table, and bar fridge. Campers just need to bring their own linens, utensils, and anything else needed to create a comfortable stay. Clean, modern washrooms and showers are just a short walk from your cabin. A camping cabin rental offers an affordable family vacation close to Winnipeg. Click here for pdf of the floor plan. If you’re planning on coming to Warren or Stonewall for hockey, ringette or curling – plan to stay with us. We are a short 5 minute drive to the Sunova arena in Warren and 10 minutes to the Veteran’s Memorial Arena in Stonewall.